Hope you all are having a fun-filled weekend. Today I’m with the review of some budget-friendly essential oils for you guys. I bought these long back from purple.com when there was a sale on good vibes product. I didn’t expect much from these humble babies much since these were pretty inexpensive. But I was wrong these are good in terms of quality. I have used this for past 5 to 6 months and here is the Good vibes essential oil review. 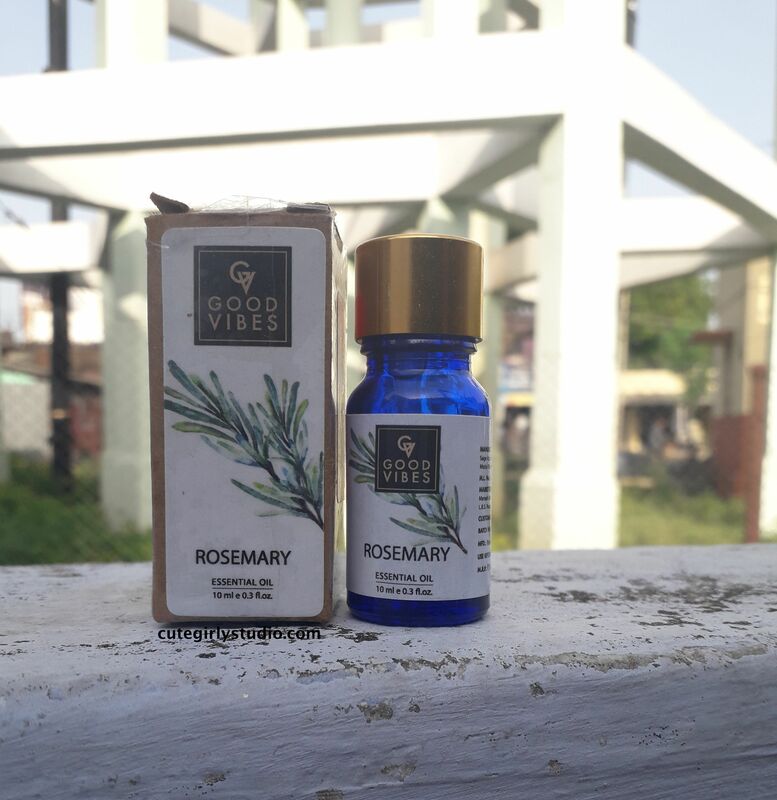 Rosemary – RS 165 currently at the offer(RS 107) You can buy it here. 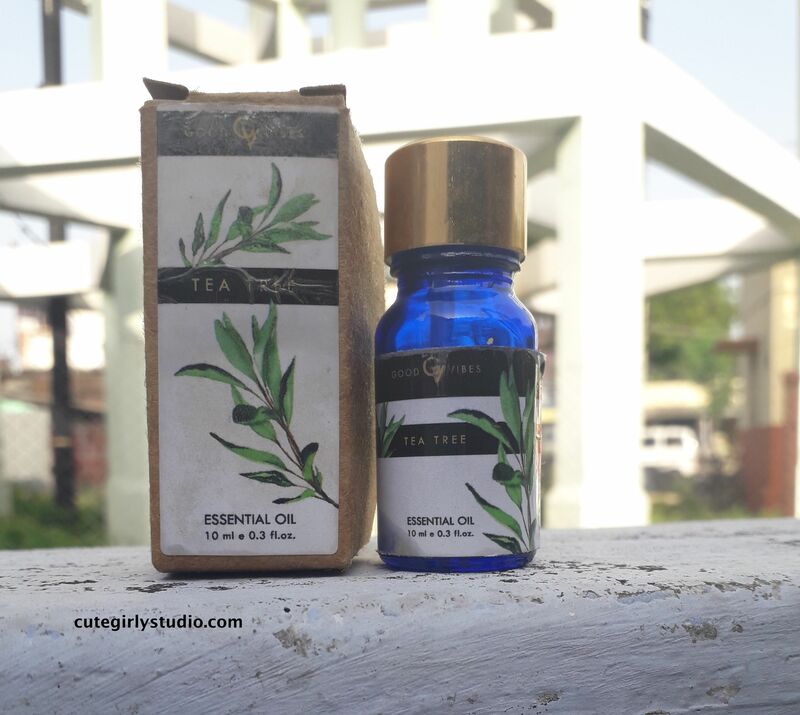 Tea tree – RS 225 currently at the offer(RS 146) You can buy it here. 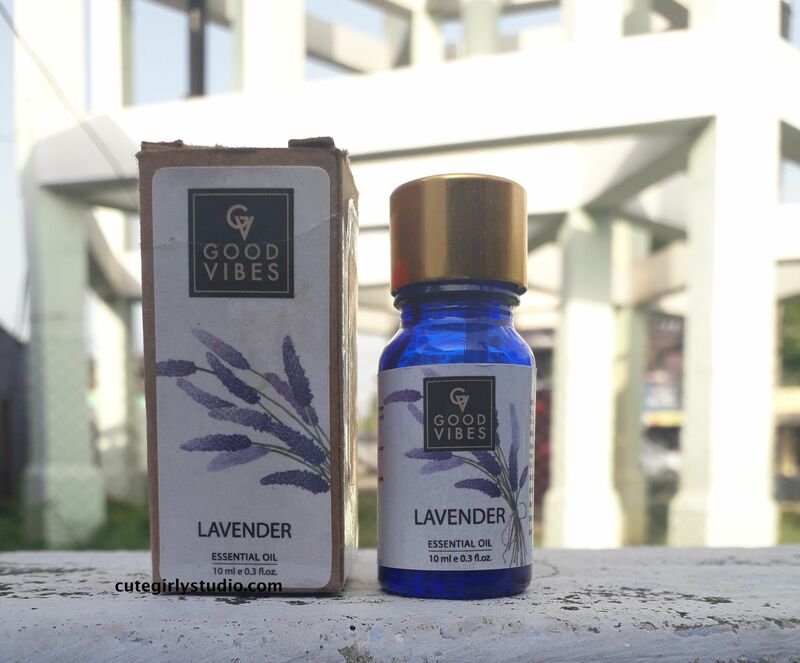 Lavender – RS 165 currently at the offer(RS 107) You can buy it here. 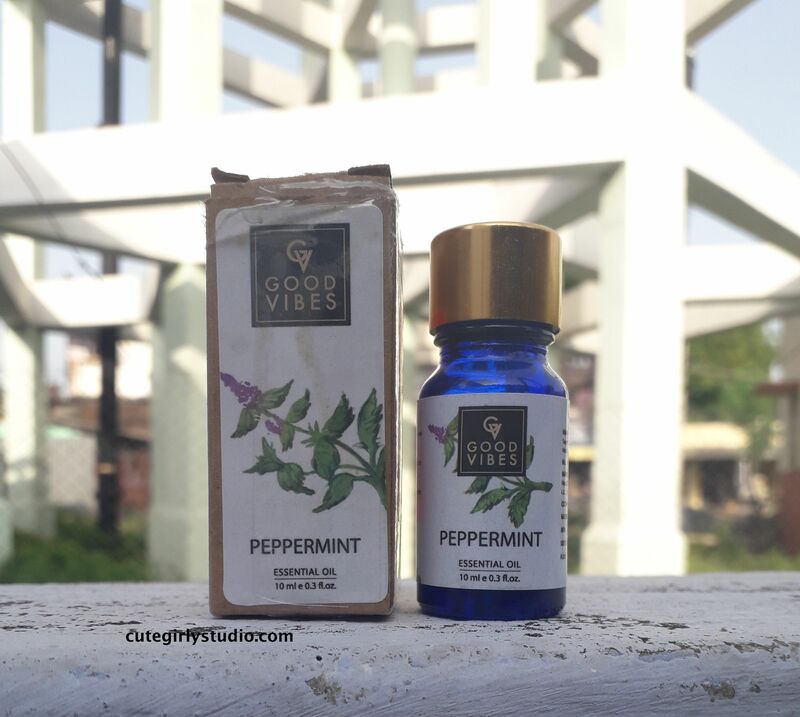 Peppermint – RS 165 currently at the offer(RS 107) You can buy it here. The essential oils come in a cobalt blue glass bottle with the dropper. 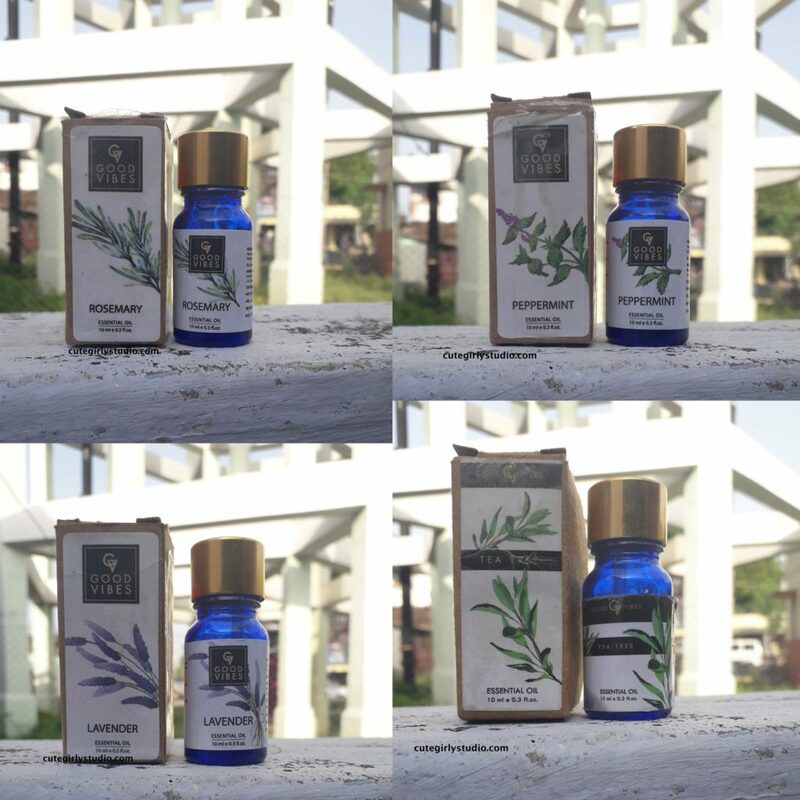 It comes in an outer cardboard, which helps to store them away from direct sunlight thus increasing the shelf life since essential oils easily vaporize. I’m using all of these essential oils and I have even emptied the tea tree essential. I won’t say that these are the purest essential oil that one can get but I don’t find this heavily diluted. Previously I have used essential oil from 3 different brands so I can feel the difference. I have the habit of mixing 1 drop of lavender oil with my night cream, one day when I added 2 drops by mistake I can feel the irritated feeling and I rinsed my face immediately. This means that the oil is potent so I can confidently say that these are not heavily diluted essential oils. I use tea tree oil with my daily moisturizer and trust me, girls, I didn’t face any serious breakout issues that I usually have. I started using tea tree for 3 months continuously and I felt a change in my skin. It felt a lot clearer and pimple free. So if you are one with oily or acne prone skin I would highly recommend this one. I also use this as my anti-dandruff treatment. On days when I have dandruff issues, I mix few drops with my hair oil and massage my scalp before shampooing. This helps to remove dandruff within 3 to 4 uses. I use lavender essential oil with my night cream as stated before since it helps to calm my senses and I have deep sleep without any issues. On days when I don’t use a night cream, I leave 2 to 3 drops on the pillowcase and it also helped with better sleep. It smells really strong in the bottle but when dispensed, it has a pleasant aroma. Peppermint essential oil gives a cooling sensation whenever I use it. I’m currently mixing this in all of my hair packs and it gives a cooling sensation. It is said that peppermint essential oil helps to stimulate hair growth but I haven’t seen anything like that. Whenever I have a headache, I just smell this and it relieves me from the headache. It smells similar to POLO mint. Rosemary is the least used essential oil. I bought this since I have read that it stimulates hair growth and prevents premature graying. I’m using this in my hair oil and hair masks, It helped me to regrow my lost hair but I won’t say that it stops hair fall, since a single oil cannot do so. The result is not instant, I used this for past 4 months and I have seen improvement in my hair regrowth rate. Comes in a mess-free convenient dropper bottle. So this is my short review of the Good vibes essential oils. Hope you guys like this. This review is no way sponsored by the brand. All these opinions are from my personal experience. If you are pregnant or under medication, don’t use any essential oils without consulting the doctor. Last time I was eyeing them but couldn’t find a review, not I will get these next time for personal use.